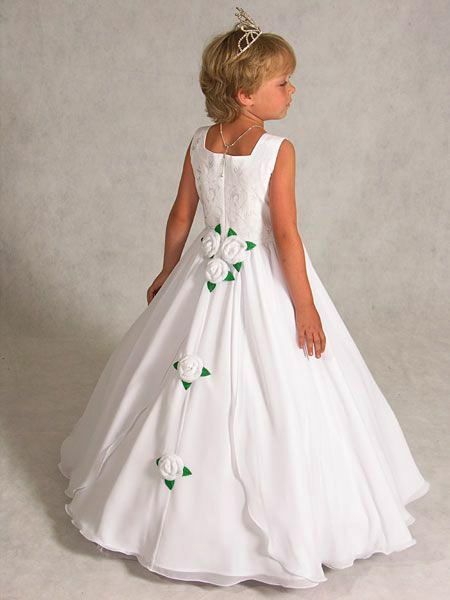 Satin and organza square neck gown with embroidered bodice, full split front apron A-line skirt with rose pickup. 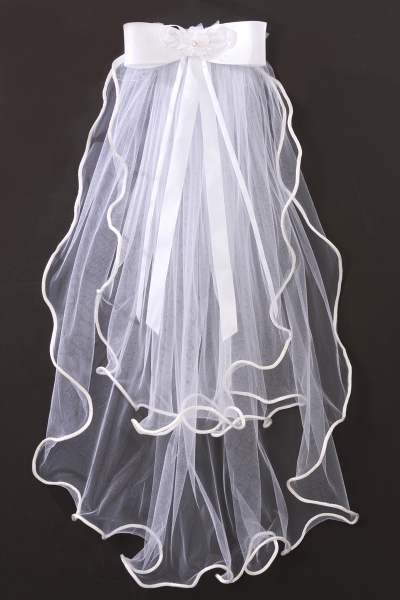 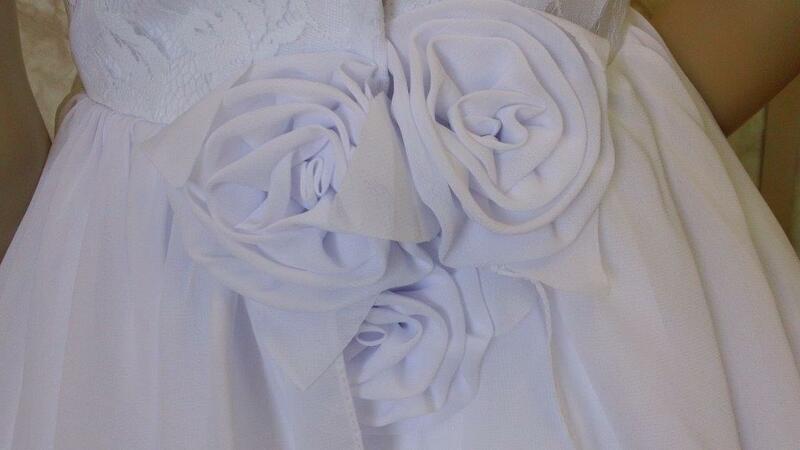 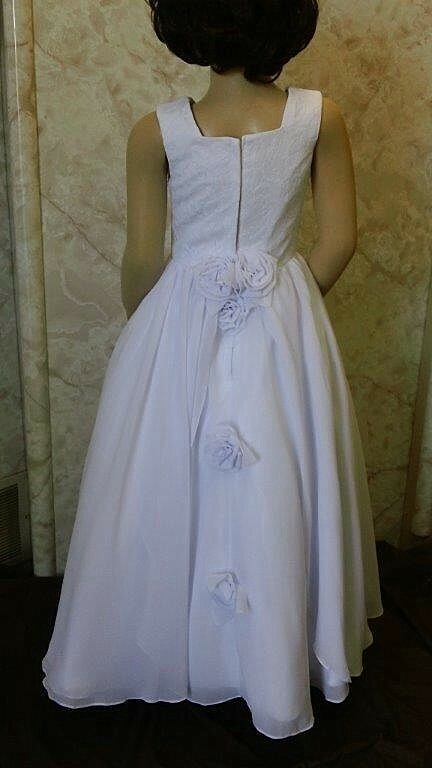 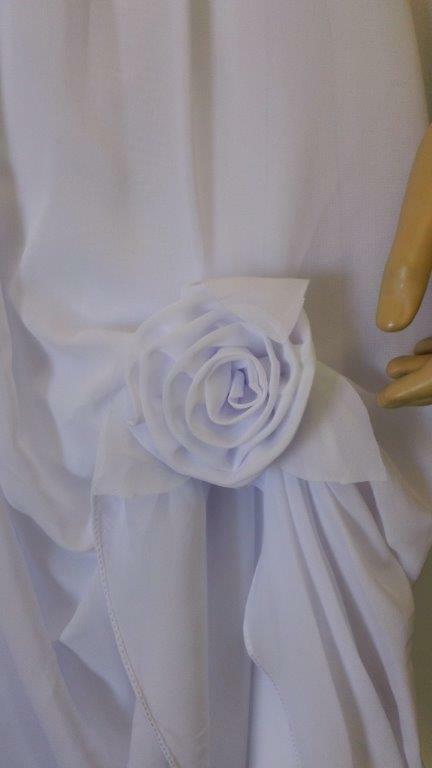 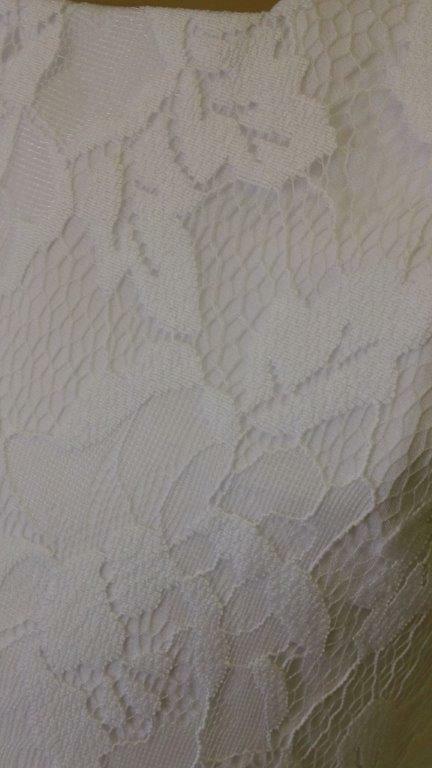 white chiffon for the dresses, flowers, and petals - all white!! 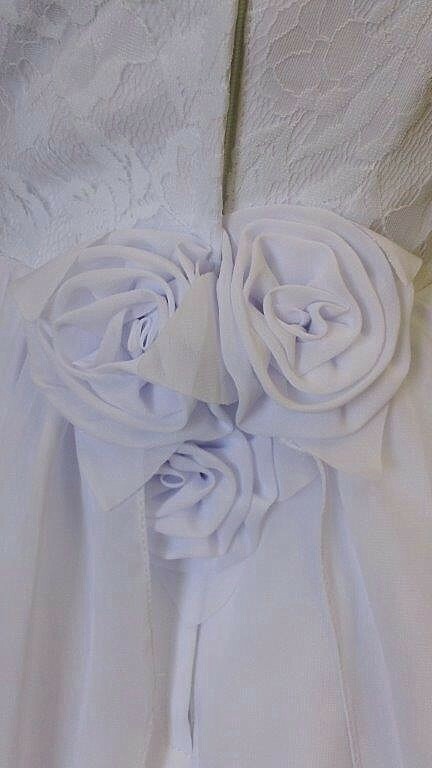 She also would like to order 10 little roses to match these that are 1 "
Your gown will be ordered in Satin with organza overlay. 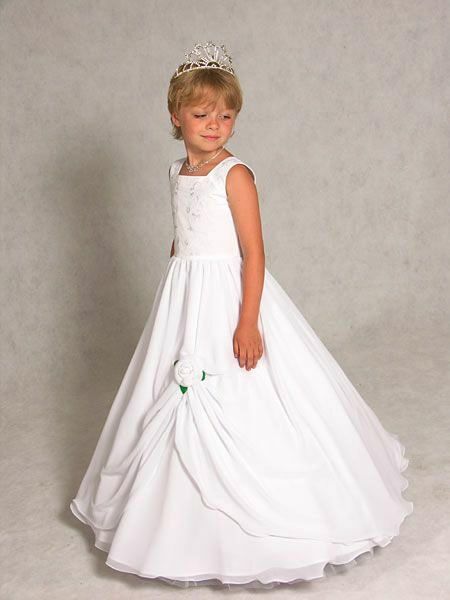 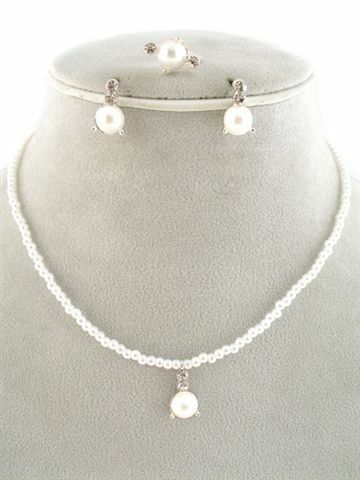 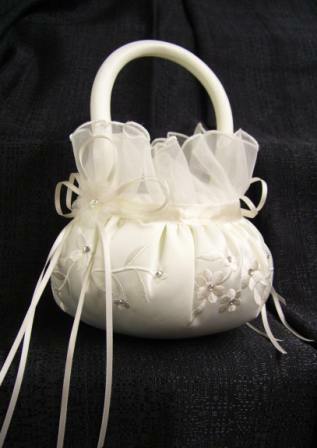 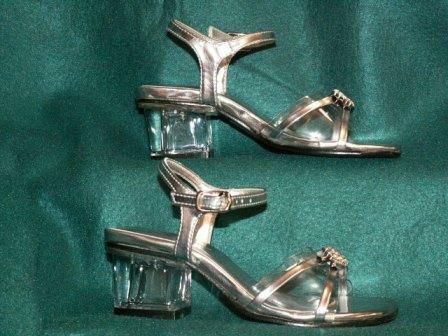 Regular Flower Girl Dress delivery is 8 weeks.